There may be interruptions to the occupants of the buildings which are having panels installed on them. In 2016 CSU became the first carbon neutral university in Australia. This project continues to enhance CSUs reputation as a leading practitioner of sustainability within the university segment. CSU will install over 6,000 solar panels over the rooftops of various buildings at our Wagga campus. 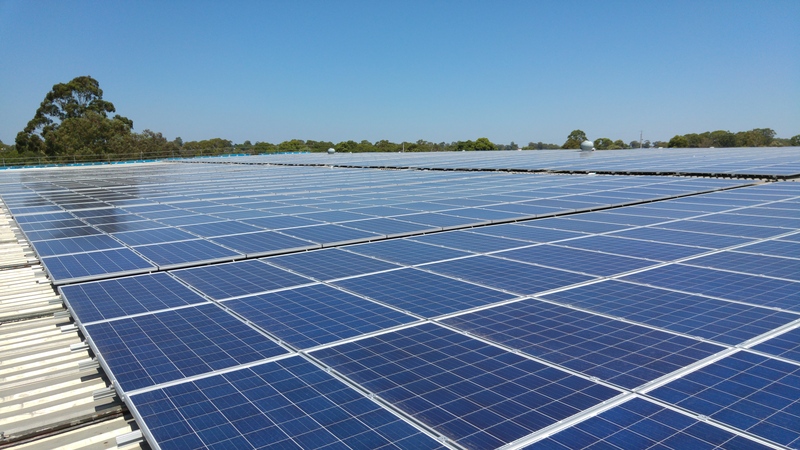 The installed capacity of the system will be 1,774 kW making it one of the largest rooftop installations in Australia. The electricity generated by the panels will be enough to provide 20% of the electricity usage of CSU at Wagga Wagga. The system has been designed to generate as much solar energy as possible whilst minimising the amount of energy which is exported to the grid. The 1,774 kW installation is expected to generate 2,620,000 kWh in its first year of operation which is equivalent to 2,330 tonnes CO2. The project will assist CSU to meet its targets for embedded generation and carbon neutrality. The project is being funded by a loan from Westpac and the Clean Energy Finance Corporation. The loan is repayable over a 10 year period and the repayments will be made from the savings on electricity expenditure. Any interruptions which are required, will be scheduled at the most convenient time possible and communicated in advance. Rooftops included within the installation are those of buildings 13, 21, 30, 125, 279, 283, 288, 289, 295, 411 & 452-458. The below video has been produced to showcase the Wagga Wagga Solar PV project and includes interviews from key stakeholders involved in the project.